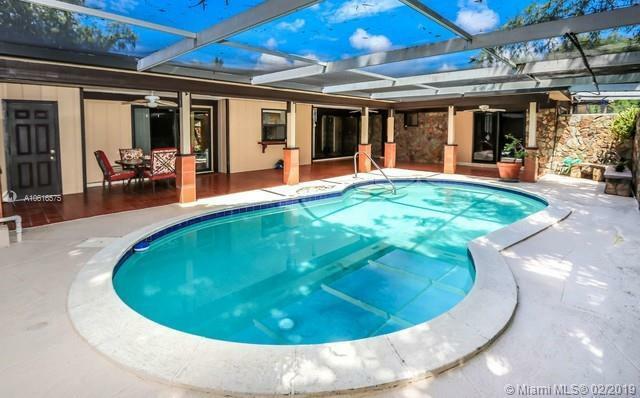 MOTIVATED SELLER, HOME WARRANTY, Beautiful 4/2, pool home on an oversized lot. Perfect home waiting for large family. NEWER ROOF / IMPACT DOORS/ WINDOWS. 2700Sf, Spacious living room. Bonus room can be used as an Office/den. 4th B/R or in-law quarters. Large Laundry room & Large pantry w/2 extra refrigerators. Garage is attached to huge workshop w/gas generator. Fenced in backyard for pets & has large gate entrance in rear to park truck. Master B/R has 2 large closets (1) walk-in. 2 separate A/C zones (1) newer. Lots of storage space. New tile roof, sprinkler systems w/new well. Bamboo floors. Large private enclosed pool. Large Circular driveway+add'tl driveway on side. Exterior recently painted. Centrally located to 441, 595, Downtown Hollywood, Ft Laud. Airport/beaches, I95 & turnpike.